The association between postpartum mood disorders (PMDs) and negative long-term developmental outcomes for children has been widely documented. While evidence supports the efficacy of individual psychotherapy to treat PMDs, it also suggests that this approach may not be sufficient to prevent the associated negative outcomes for the child. One reason may be that the infant-parent relationship also needs to be addressed, as suggested by studies demonstrating that infant-parent psychotherapy with depressed mothers and their infants prevents these negative outcomes. In this seminar we will explore a powerful new video-feedback parenting consultation method specifically developed to address this need. Video-feedback provides an opportunity for parents to observe their young children from an emotional remove and at a slower pace, illuminating implicit forms of communication that may otherwise go unseen or misunderstood in real-time. With the guidance of a therapist, video-feedback can increase parents’ awareness of any unconscious projections evoked by their child and accelerate their efforts to process their own unresolved issues while simultaneously promoting reflective functioning. Video-feedback also allows for positive reinforcement of specific family interactions, providing parents with an immediate, embodied understanding of healthier relational styles. Although parents (and therapists) may initially find video intimidating, a variety of techniques can be used to smoothly integrate this method into the therapeutic frame. Develop an understand of the relationship between perinatal mental health and early childhood development. Identify and differentiate approaches to treating perinatal mental health and the associated impact on the infant-parent relationship. Understand how to use video-feedback to promote attachment security and address traumatic attachments. Carolyn Broudy, MD is a board-certified psychiatrist and the Director of The Family Connections Center. She received her M.D. and M.S. from NYU School of Medicine, and completed her psychiatry residency and a fellowship in Women’s Mental Health at Columbia University College of Physicians and Surgeons. She subsequently completed the Infant-Parent Mental Health Fellowship at the University of Massachusetts in Boston, and the American Psychoanalytic Association Fellowships. 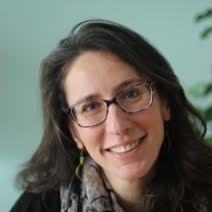 She has taught at the Smith School of Social Work, and worked as a consulting psychiatrist for the state-wide program Massachusetts Child Psychiatry Access Project for Moms. Her years of experience working with new parents and young children inspired her to open The Family Connections Center as a way to bring together a team of therapists who could better serve the needs of the entire family during the early years of parenting.